To mark this year’s International Migrants Day on December 18, the International Organization for Migration (IOM) is calling on the international community to come together and remember the refugees and migrants who have tragically lost their lives this year. IOM invites the international community to hold the first global Candlelight Vigil to commemorate the lives that have been lost or have disappeared while trying to reach safe harbour after arduous journeys across seas and deserts this year. Each person has a name, a story and left their homelands seeking better opportunities and safety for themselves and in many cases for their families - aspirations that all of us strive for. In commemoration of the thousands of lives lost this year and each year during migration, IOM is encouraging the distribution of white wristbands with the inscription #IamaMigrant which will serve as the theme for the day as well as a powerful social media hashtag. 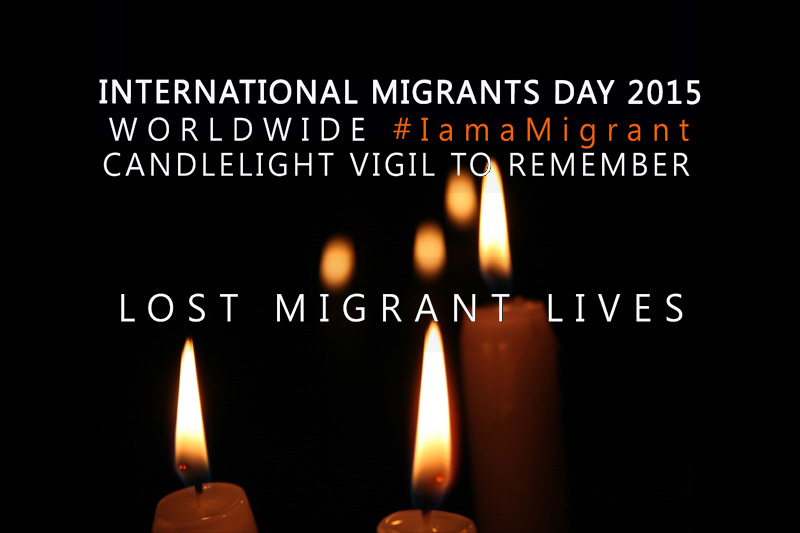 The Candlelight Vigil is a renewed opportunity to increase awareness on drivers of migration, and most importantly shift the narrative of migration towards a positive recognition of the many ways migrants contribute to host societies. The candlelight should become the symbol of our solidarity with migrants and their families and remind us that for many, migration is often the only sliver of light left for millions of people around the world. IOM will remain steadfast in ensuring that the international community stays fully committed to saving migrants lives. We must ensure that their lives have not been lost in vain. We must not forget them. For more information on the campaign and details on how to submit migrant stories, please visit iamamigrant.org or write to iamamigrant@iom.int.